After the release of the fifth edition of the Diagnostic and Statistical Manual of Mental Disorders one of the changes most covered by the media was the “disappearance” of Asperger’s Disorders. However, mainstream media portrayed a skewed message. To say that Asperger’s has disappeared, implies those previously classified as having Asperger’s lost their diagnosis, and that is not accurate. 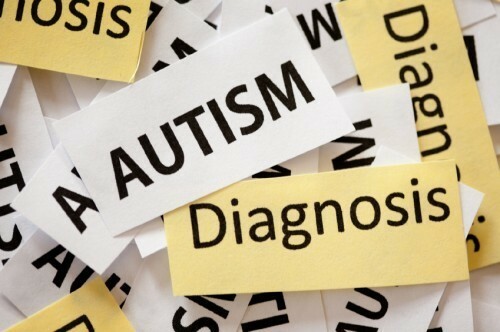 Rather, the term has been removed and those with a prior Asperger’s diagnosis are now to be considered on the spectrum for Autism Spectrum Disorder. This merge does not trivialize or eliminate the validity of the diagnosis; it is rather just an edit. Yet major news sources, including coverage from Fox and CBS, have the public believing this disorder vanished from the world of mental health. For instance one headline read “Asperger’s syndrome will be dropped from the latest edition of the…DSM-5”. It is important to recognize the distinction; eliminating an illness from the DSM-V is quite different than altering the terminology. The new diagnosis of mild Autism Spectrum Disorder does not change the person behind illness. It is important to point out that the media was correct to bring attention to this issue. The change does have an effect on certain issues, including insurance reimbursement. Although the news may be coloring their stories in a way that is deceiving, the change did occur and is important to be recognized. At the end of the day, when debating the changes to the DSM-V, be sure to have the information beyond the headlines. A new study has found an unexpected correlation: children who have attention deficit and hyperactivity problems, as well as children with autism spectrum disorders, are more likely than their peers to experience gender variance. Gender variance is the wish to be another gender. Researcher John Strang found gender variance to be 7.59 times more common in children with autism spectrum disorders when compared with kids that had no neurodevelopmental disorder. Additionally, children with ADHD were 6.64 times more likely to wish to be another gender than the control group in this study. While the study did not provide the reasons for the observed correlation, Strang has proposed a number of possible explanations. His theories are based on reasons why children with these mental disorders who have certain traits would be more likely to identify these traits as gender identity issues and mention them. In the case of ADHD, the disorder is characterized by difficulties with impulse control. Thus, children with this disorder may be less likely than their peers to respond to pressures against cross-gender expression by restraining their gender impulses. With autism, the correlation may occur because these children are less aware of social norms that frown upon expressions of gender variance, so they would feel less compelled to hide their desires to be the other gender than their neurotypical peers. Additionally, children with autism spectrum disorders often have rigid thinking, seeing everything as either black or white. They may therefore be more likely to interpret mild or moderate gender nonconforming tendencies as definite gender variance. If you or your child is struggling with gender identity issues, ADHD, or an autism spectrum disorder, talking to a mental health professional may be of great help. Feel free to contact Arista Counseling & Psychotherapy at (201) 368-3700or (212) 722-1920 for more information and/or to set up an appointment.